Day three is always the hardest for me. Upon waking, my entire body felt like it had a head ache. From my little baby toe, to my head. I hurt. I also felt like I had to vomit for about three hours. I have detox rash all over my arms, and a million bug bites all over my body. Did I mention I am choosing to be here? It's not easy. I'm not on holiday. I'm here to do some serious hard work, because the outcome is always worth it. This morning I talked with my friend Mohammed. I wasn't sure where he was in the world, and I was worried he might not get back home. But, he's from Egypt, where Trump still has business ties with that country, so folks from that country are still permissible. Plus I found out Mo actually has a US passport, not just a green card or visa, but I am still worried. What if things just continue to get worse. I got online immediately and started sending money to the ACLU. They have power. They have the means to fight back. I, on the other hand, just have my voice. When detoxing, emotions come out. I cried this morning for my country. But who am I kidding? It's not because of my detoxing emotions, it's because I'm scared. I cried the day Trump was elected. I cried the day he was inaugurated. I cried today when he wouldn't let human beings back into the country, even ones who were LEGALLY here. I cry because that's how I let out my fear, anxiety, sadness, and disbelief. This is how my day started. Sick and scared. But this isn't meant to be a political post, this is my detox experience. We went to the sauna today for the hot/cold treatment. You get in the sauna, heat up, sweat as much as you can tolerate, and then jump in an ice cold pond. If you don't have a sauna, you can use a hot/cold shower. Why is this beneficial? It's similar to mild exercise, burning 300 calories per average session. It helps detoxify you, increases your energy, circulation, and clears out negative energy. Just what I needed today, except that a few fellow detoxers kept bringing up politics while in the sauna. They were in agreement with my views, lovely people here, but, talking about it was raising my heart rate, and making me feel dizzy. Dizzy because I'm in a hot sauna, with three days of no food, and talking about huge issues. That would make anyone light headed. After three sauna/ice pool jumps, I went and chilled by the pool by myself. The place we go to is magical. 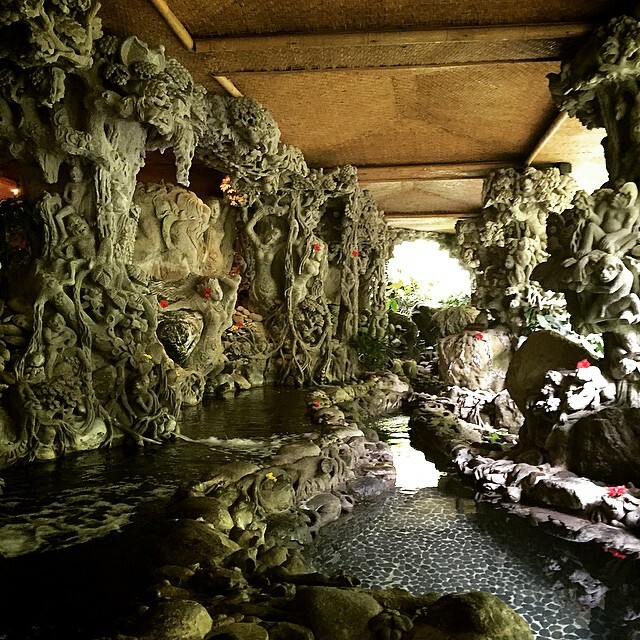 It's the oldest hotel in Ubud, called Tjampuhan and Spa, built in 1928. You can get lost in the little paths that lead you to pools, saunas, natural springs, etc. If I ever come back to Bali and don't stay at the Natural Instinct Healing, this is where I would want to stay. Absolutely gorgeous. The right side is the cold pool, left side is hot! 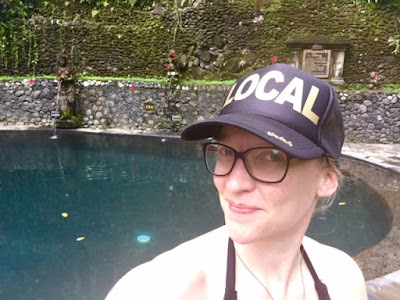 Selfies are not my thing, but here's one of me in front of the Natural Spring Pool. Just a lovely scene on the path inside the hotel garden. Other things that we do here? 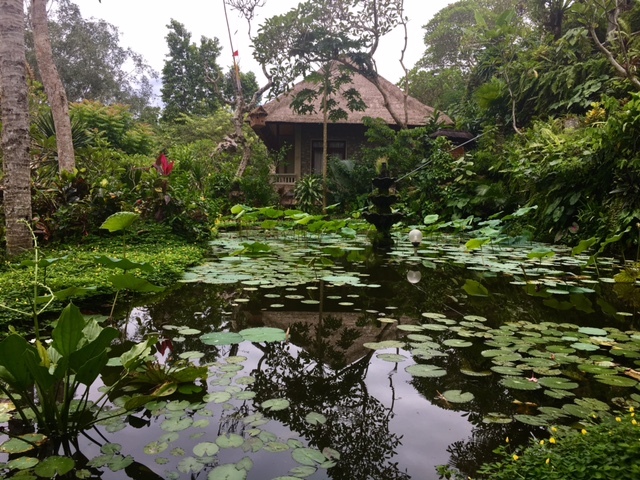 Parasite zapping, massages every other day, workshops, rice paddy walks, meditations, watch documentaries, swim, lay in a hammock, and chill out! Still to come: cultural excursions, bike ride, colon cleanse, liver cleanse, and more workshops. All in our little bubble, safe away from the smells of food and chaos. NOTE: I fee like my first blogging of this experience is much more thorough, and to avoid repeating myself, I'm just not getting too much into the details this time around. If you are interested in learning more, read my first 14 day cleanse here. (Scroll to bottom and then go up).